Jessie Girl is about family, love and confidence. 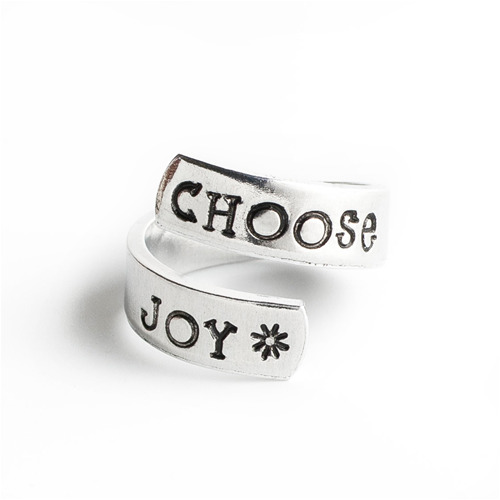 Our pieces celebrate life's important moments. Our goal is to make something that will keep the feelings and memories of those moments close to your heart. All orders placed at the show will get free Priority mail shipping! 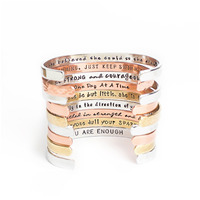 Our best selling Confidence Cuffs come with over 40 sayings to choose from. 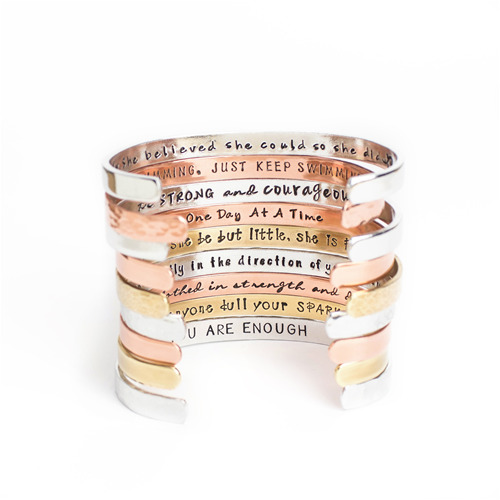 Choose from aluminum, copper or brass. Polished, brushed or hammered finish. Collectable and gift-able! 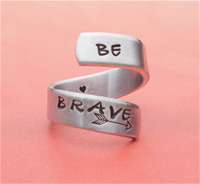 Our inspirational wrap rings are adjustable and hypoallergenic. Choose from several short sayings.